Jackie Prather of Temrex offers an sneak peek at the company’s new temporary cement, Temrex CR, and the Bite Relator assorted pack. DPRWorld Staff were invited to cover the launch party for Styla, hosted by Zap here at the Mandalay Bay. In this video, Di Sessa offers a compelling argument for why this simple piece of equipment has the potential to revolutionize the way dentists think about lasers. Surrounded by what he described as not only friends, but “bright people I’m proud to share the stage with,” moderator and self-proclaimed tech-junkie a Dr. John Flucke kicked off a morning dedicated to bringing an extremely broad topic—Practice Improving Technologies—to a relevant, practical, your office on Monday morning level. Dr. Barry Freydberg was the first panelist to present, focusing on the esthetic-technology link or, as he calls it, Techsthetics. Dr. Freydberg made a strong case for the digital image’s ability to convince patients to pursue treatment. “The image helps create a want,” he explained. “It helps them to visualize what they’re working toward.” One of the most compelling stories he told featured a woman who actually framed her before and simulated “after” shot, kept them on her desk, and saved money for a year to come back and pay to have the work done. Panelist Ping Fu, CEO of Geomagic, discussed not the possibility, but the eventuality of the virtual patient. “Five to 10 years down the road, the virtual and the real worlds won’t exist separately, they’ll be the same thing,” she said. “My 14-year old daughter is already there.” She challenged the audience to consider a future in which we can build a “browser” around the patient, where all the info we need for treatment planning is seamlessly integrated and at our fingertips. As he so ably did yesterday, Lee Culp, CDT, wrapped up the panel with his thoughts on digital impressions, emphasizing again that models are a thing of the past and that currently, “we’re creating obsolete technology to hold the dentist’s hand for the next seven to 10 years” as they learn to trust the model-less workflow. With 55 million impressions completed each year in the U.S. alone, the expectation is that digital will become the standard of care. 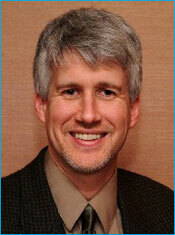 Dr. Steven Hensel of Lincoln, MI, shares his thoughts on this morning’s panel on practice improving technologies. What would otherwise be one of the hottest tickets in towns, happens right on the DPRWorld floor. Charismatic rocker, Chris Isaak performs an exclusive concert for DPRWorld attendees Friday night. With lounge-style seating, beverage service, and 10 extraordinary albums to draw from, we’re in for a memorable night! It’s time to become your own CEO—of both your life and your practice. 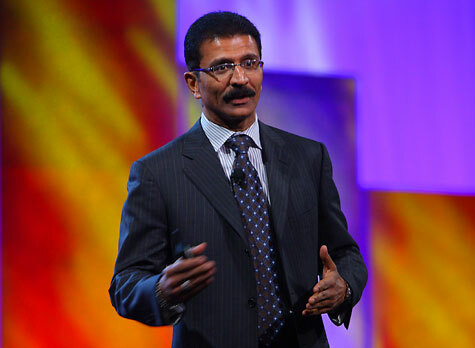 That means becoming a visionary and defining what success means to you, Scottsdale Center for Dentistry Founder and CEO Imtiaz Manji said during his keynote address Thursday morning at Mandalay Bay to help kick off DPRWorld08. Coming up with a plan is part of achieving that success, and Manji outlined five indicators for becoming the CEO of your life and your practice. The economic crisis, advances in technology, next generation and baby boomer opportunities were also topics Manji hit on. He also stressed the importance of recognizing that patients are more than a number and that case acceptance is key to a thriving practice. Creating the right environment and building relationships is vital to establishing trust and keeping your patients from going elsewhere, which these days includes overseas. Bottom line: It’s all about setting goals, relationships, and convergence. It’s becoming your own CEO and enjoying as much of life as possible.